Asakusa Samba cancelled in 2011. 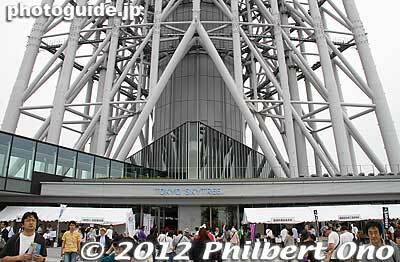 The popular Asakusa Samba Carnival which would have been held on Aug. 27, 2011, has been cancelled. This was announced in June 2011 on the Asakusa Samba Carnival’s official Web site. It was 30 years ago when this Carnival was started. The 31st Asakusa Samba Carnival would have been held this year, but now it has been postponed till next summer. The reason is due to the tsunami/earthquake in Tohoku that caused the annual Sumida Fireworks to be postponed to Aug. 27, 2011. So people going to see Samba can see the fireworks instead, but beware of huge crowds. I know people are understandably canceling trips to Japan left and right. It’s unfortunate since the cherry blossom season is here. Obviously, any travel plans to northeastern Japan (Tohoku) should be cancelled, but other parts of Japan are unaffected such as Osaka, Kyoto, Hiroshima, Shikoku, and Kyushu. People must understand that the earthquake/tsunami/radiation disaster is limited to northeastern Japan (Tohoku). What you read in the news makes it sound like the entire country is in peril, which is not the case. Life is normal in the western half of Japan with absolutely no increase in radiation levels nor blackouts. Kyoto, Osaka, etc., are perfectly safe for tourists. – Do not try to travel to northeastern Japan (Miyagi, Fukushima, and Iwate) affected by the earthquake and tsunami. Let the military troops and professionals complete search-and-rescue and body-recovery operations first. Aftershocks, tsunami threats, and radiation leaks from the Fukushima nuclear power plants are still ongoing. Note that any leaked radiation dissipates the farther away you are. Even if the radiation level is dangerous to humans at the source of the leak, if you are far away enough, the potential harm greatly decreases. – Tokyo is safe enough to visit, but beware of aftershocks. Unpredictable rolling blackouts may occur and train runs have been reduced. Shops and businesses are drastically cutting back on power consumption. You might be most affected by the much fewer train/subway runs within central Tokyo. Trains will come much less frequently and they will be overcrowded. So you may end up waiting for a train for a longer time. Urayasu, where Tokyo Disneyland is located, suffered major liquefaction on reclaimed land. – Be careful in Nagano, Niigata, and Shizuoka Prefectures where earthquakes occurred soon after the Tohoku quake and aftershocks are likely. I really hate to say this and no offense to these prefectures which have major sights and attractions, but the recent earthquakes there are disturbing. – Hokkaido is okay. But avoid the beaches. Tsunamis caused by aftershocks are still possible. – Osaka, Kyoto, and the rest of western Japan and southern Japan (Kyushu, Okinawa) are okay. They have not been affected. No tsunami damage, no major earthquakes/aftershocks, no radiation increase, and no rolling blackouts. Thus, you can still fly to Japan and go sightseeing as usual in most parts of Japan. Just avoid the hazardous and difficult areas and you’ll be fine. Of course, keep in mind that Japan has earthquake faults all over. An earthquake can occur wherever you are in Japan at any time. Whenever you go out, take something to drink and eat. Energy bars would be good. (In Japan, Calorie Mate is popular and sold everywhere.) Carry a map and essential contact info (hotel, embassy, etc.). Have fun, but be prepared.